What would you do with $180 million? 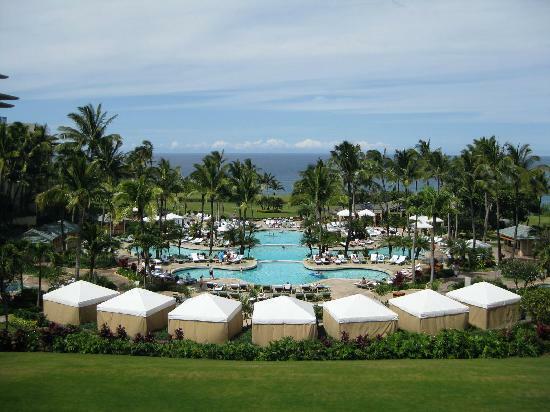 If you’re the The Ritz-Carlton, Kapalua you’re going spend the whole bundle on the largest make-over in The Ritz-Carlton Hotel Company’s history worldwide! Even by today’s standards that buys a hellava lot of transformation. 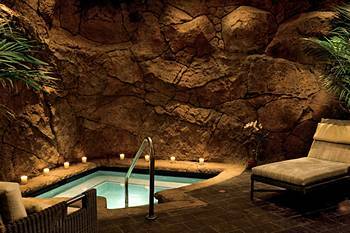 I was so wowed by the “after” pictures of the spa’s volcanic stone grottos, luxe cabana’s, spacious new rooms that I decided I should probably check it out in person. Rough job, but…..
Eureka! What timing. It just so happens that the Ritz is getting ready to celebrate the 28th anniversary of the Kapalua Wine & Food Festival. This granddaddy of all F & W events will be hosted by Fred Dame, the president of the Court of Master Sommeliers. It will kick off June 11 with an invitation-only festivus attended by Master Sommeliers, winemakers, celebrity chefs (such as Chef Robert McGrath, Winner of the prestigious James Beard Award “Best Chef in America: Southwest”, and Executive Chef Scott Giambastiani, of internet dominator, Google, Inc) and ends four fun & food filled days later with their epicurean highlight: the Kapalua Seafood Festival. Good news: there are still some tickets available for all or part of the festival if you hurry. Check website for details on the Wine & Food Festival or here for reservations and packages. P.s. Don’t worry about putting on extra pounds. I plan on burning off the cals while exploring every last inch of the Ritz-Carlton’s 54 acres. I’ll be jogging over to their new Herb and Veggie garden (planted to represent all the Hawaiian Islands), exotic fruit orchard, and pineapple fields. A little cross training is in order so next I’ll swim laps in their signature 10,000 sq.ft. pool, then possibly fumble around their championship golf courses (yes, there are two of them) and I’m really looking forward to joining a rainforest hike led by an expert naturalist as part of their new Jean-Michel Cousteau’s Environmental Program. A little snorkeling, perhaps while taking part in their underwater photography class, then maybe challenge a few other guests to a friendly competition at the Kapalua Adventure Center, where we can try the rope course, climbing tower, and end up with a little zip-line action. Actually, sounds like I might just lose a few pounds! The Kapalua wine and food fest is awesome- I wrote a piece on it for Tango Diva a couple years back- search the archives for GrapeLiving, Aloha style! thanks for the tips on Maui travel. just returned and had a great time.